These images are close-ups of a half-inch-wide (centimeter-wide) section of prints from two editions of an Italian Renaissance book by Porcacchi. 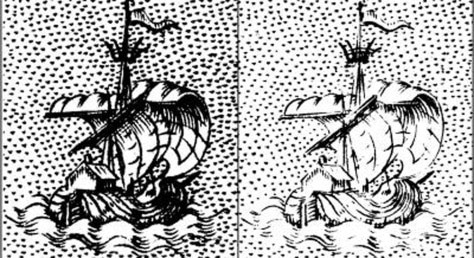 The left image is from a 1576 edition, the right from 1604. The comparison illustrates time-dependent image fading, useful for dating books and prints.